"'Begone, chimeras, to your mother clouds!' —Oedipus." "Ancient sculpture at Hulme-Hall, Lancashire." From Sketches of the Philosophy of Apparitions by S. Hibbert, 1825. 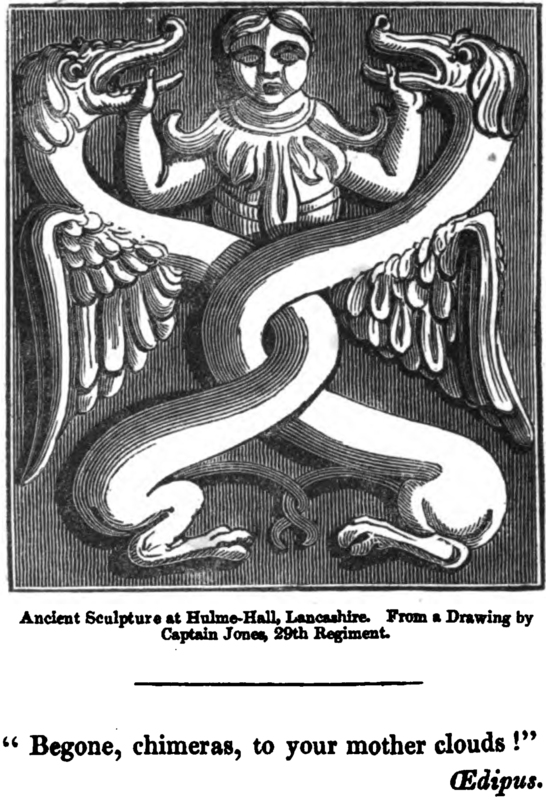 "Ancient sculpture at Holme-Hall, Lancashire." 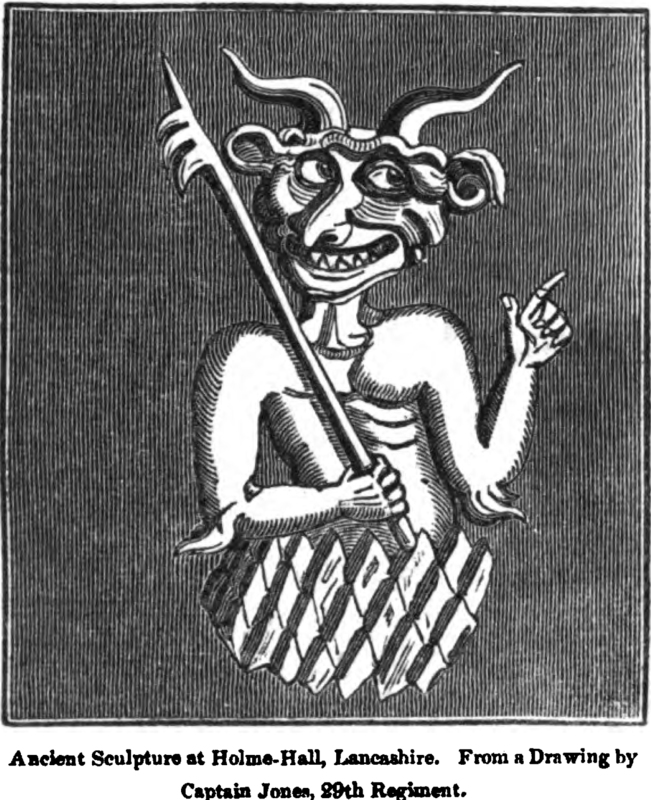 From Sketches of the Philosophy of Apparitions by S. Hibbert, 1825. 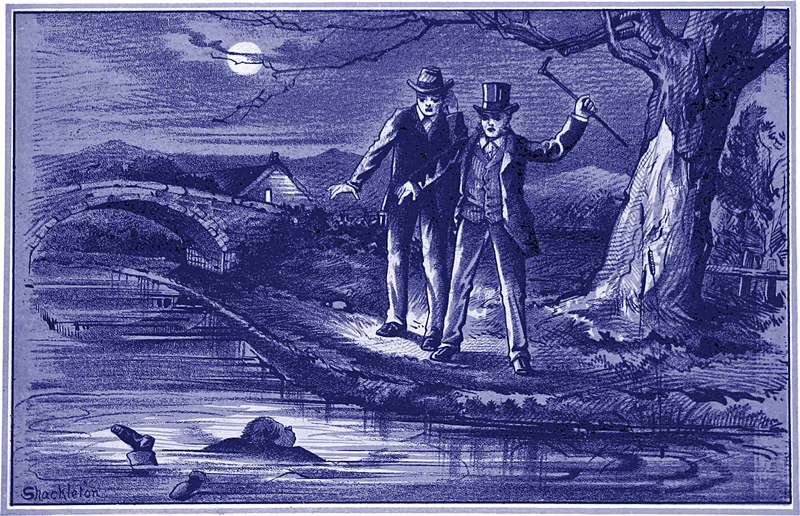 From Tales and Sketches of Lancashire Life by Benjamin Brierley, 1882.